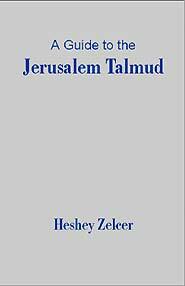 This book is a compilation and composition of the Jerusalem Talmud, the cultural, economic and political conditions in the Land of Israel during its development, the scholars who studied it throughout the generations, and a synopsis of their research and commentaries. Examined in detail is the transformation of the Roman empire from paganism to Christianity and the effect this has had on the Jerusalem Talmud. Also explored is the sordid and almost successful attempt at the end of the 1800's to present a forged work as the newly "discovered" missing Order of the Jerusalem Talmud. Jewish Law is based on the Talmud which was codified approximately 1500 years ago. There are actually two Talmuds, one which was codified in Babylonia (The Babylonian Talmud) and the other which was codified in the Land of Israel (The Jerusalem Talmud.) The differences between these two Talmuds and why one was eclipsed by the other are amongthe issues addressed in this work. Although the Jerusalem Talmud was superceded by the younger Babylonian Talmud it is, nevertheless, a massive work that contains not only a collection of Jewish Law and lore, but also important historical, political and cultural information regarding the Land of Israel and the Roman empire ca. 220 - 375 C.E. Although, there are literally thousands of works that have been published on the Babylonian Talmud, there are very few on the Jerusalem Talmud. This textbook is a unique "how-to" guide that also summarizes the research and scholarly work performed on the Jerusalem Talmud throughout the generations. It is useful to both scholar and layman to understand how the Jerusalem Talmud was formulated and how it subsequently helped shape the lives and beliefs of the Jewish people. Heshey Zelcer graduated Torah Vodaath High School in 1970 and earned his BA in Philosophy from Brooklyn College. In Bernard Baruch Graduate school he majored in Computer Science and he currently heads a software company that provides software and services to the health care industry. Heshey Zelcer also attended Revel Graduate school of Yeshiva University and is the author of the Companion Mishnayot, which was published in 1994. He is also an occasional lecturer on topics relating to Jewish Law and philosophy. Heshey and his wife Temy are the proud parents of four children and three grandchildren.